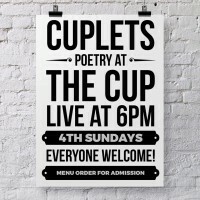 This free monthly event for live poetry reading at The Cup will pair flow with joe, rhythm and brews, beats and beans, and result in many a steamed stanza. I'm Miss Moth and I’ll be your Host and I have only one rule for Cuplets: Buy something from The Cup, each and every one of you, no exceptions. :) They've got espresso, coffee, chai, tea, soda, juice, and yummy food too, from bagels to sandwiches and more. That's right, support your scene with a few bucks to the venue. Don't worry about tipping me, but I'm sure the baristas would appreciate the support too. Let's keep them busy! 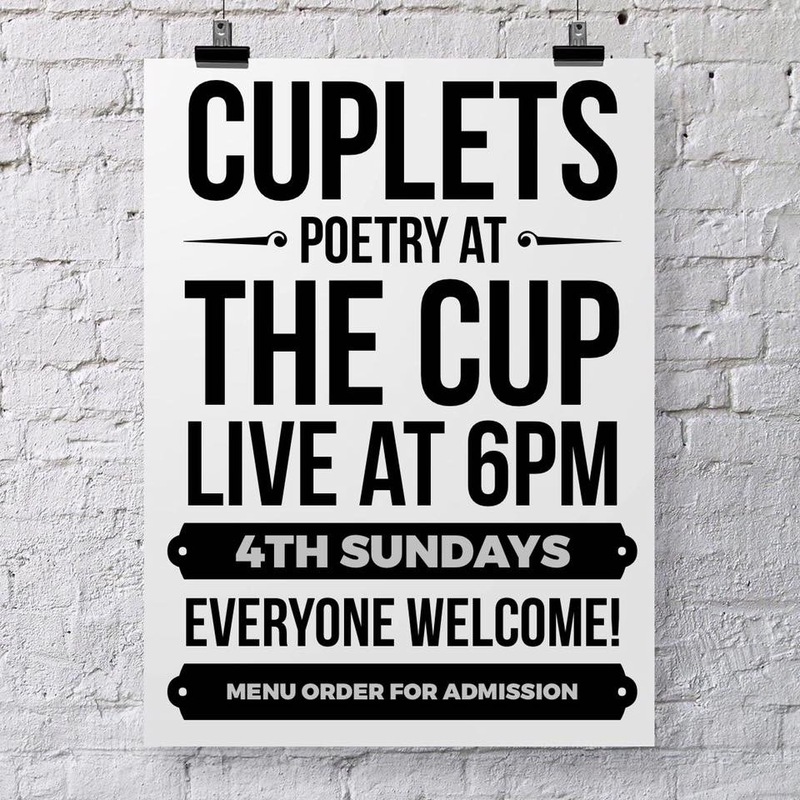 I CAN'T WAIT TO HEAR YOUR POETRY!